Eder scores in extra time to beat host France and win Portugal's first major title. Portugal overcame host France in the final of the European football championship thanks to their Guinea Bissau-born striker Eder in the second half of extra time. Substitute Eder broke the deadlock in the 109th minute of the final when he cut inside from the left brushing off a challenge by french defender Laurent Koscielny and fired a low shot into the bottom corner from 20 metres. 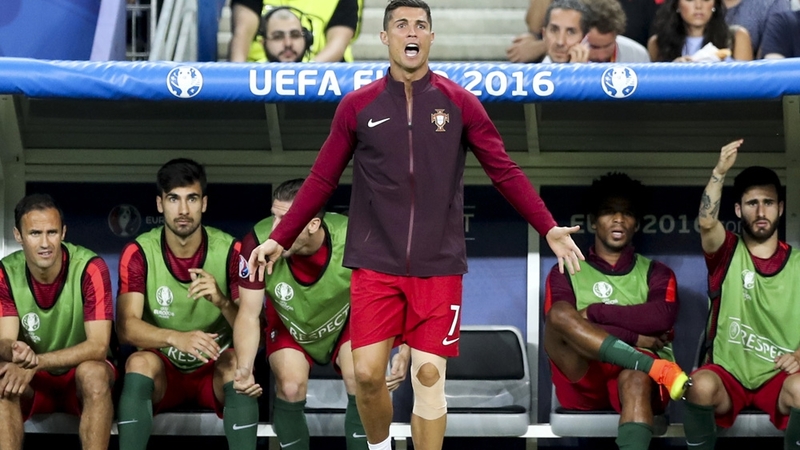 Portugal secured their first major international title despite losing captain Cristiano Ronaldo to injury in the first half. Ronaldo, Portugal's all-time leading scorer, went down after a heavy tackle from Dimitri Payet in the eighth minute but played on before being replaced by Ricardo Quaresma in the 25th minute. France nearly snatched a win in stoppage time at the end of 90 minutes when Andre-Pierre Gignac's shot rebounded off the post, while Raphael Guerreiro hit the crossbar with a free kick for Portugal in extra-time.